Extinct from many of its former stations Goodyera repens is now nationally scarce and threatened by some types of woodland management. It is particularly vulnerable when trees are thinned out. 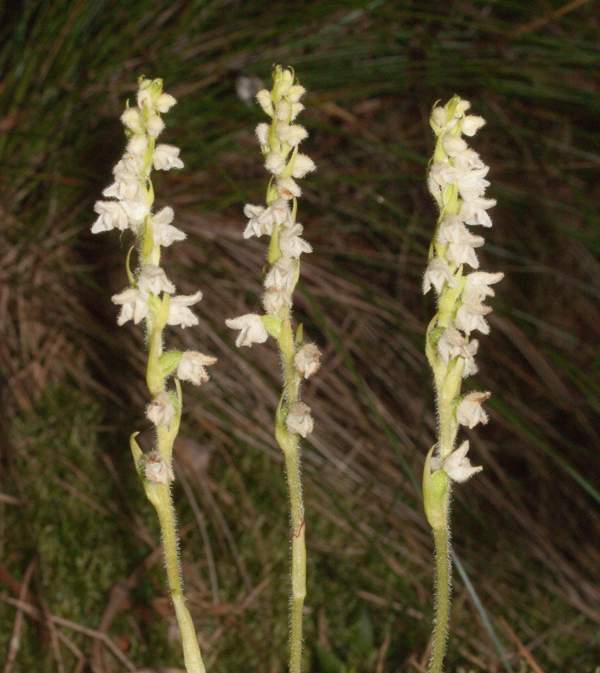 Creeping Lady's-tresses is an evergreen plant that grows to around 20cm in height when in flower. At other times of the year the only visible part of the plant is a basal rosette of leaves which remain green and are easily spotted among surrounding dead, brown vegetation. Another distinguishing feature of the leaves is the veining which fans across their surfaces and is quite unlike the leaves of other orchid species where the veins are parallel. The inflorescence carries around 15-25 pure white flowers which are extremely hairy. 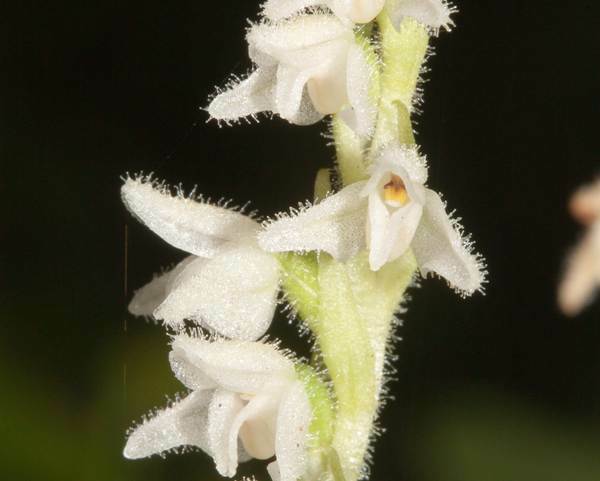 The flowers open in a spiral but much less obviously so than on the closely related species Spiranthes spiralis. The flower spike of Goodyera repens appears more one-sided once the majority of the flowers open. This orchid is found in eastern and northern Scotland, in Cumbria, Northumberland and County Durham in northern England and there is also an outpost in Norfolk. 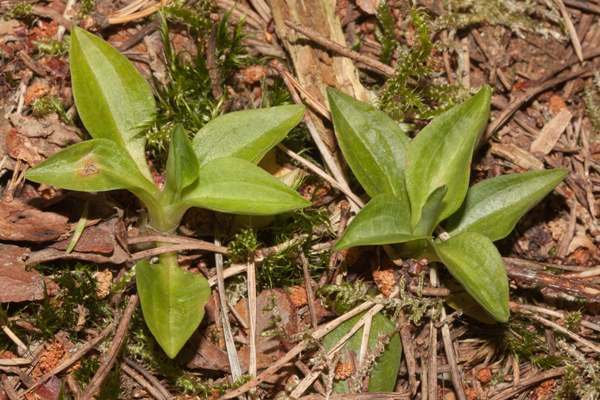 In the case of the latter it is thought that the plants may have been accidentally introduced with pine seedlings. This orchid is rare and very localised in the UK. The only colonies found in Britain today are in Scotland, northern England and east to Norfolk. In Europe it can be found from Sweden in the north and as far south as Portugal. Creeping Lady's-tresses flower from June and onwards well into August.